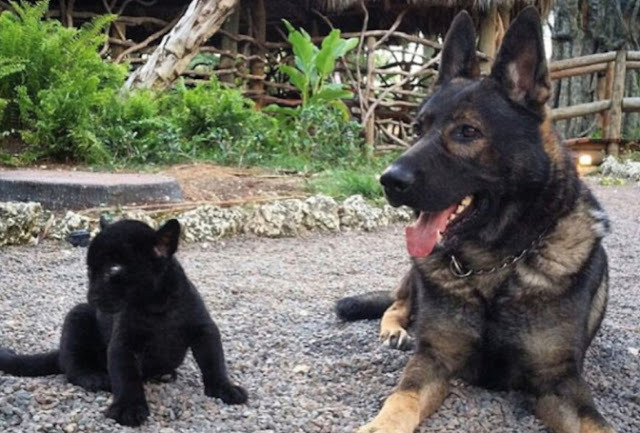 A caring canine is giving new meaning to the term 'doggy day care' by becoming a surrogate parent to a range of animals including tigers, monkeys and a hyena. 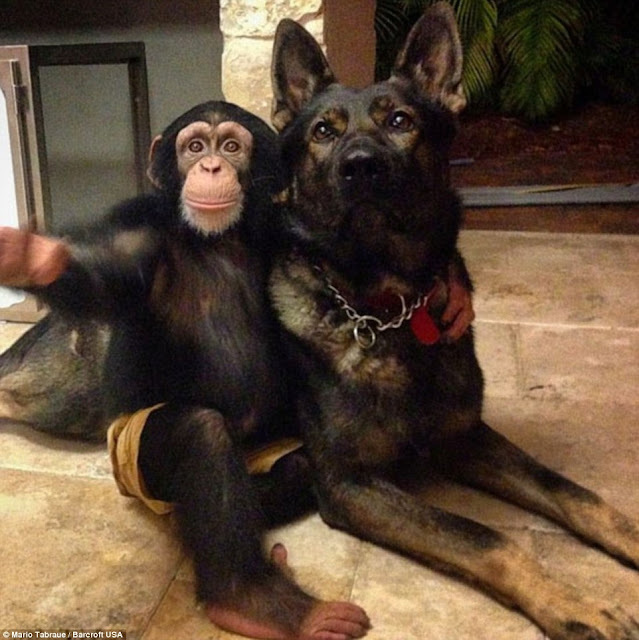 Owners Mario and Maria Tabraue brought Igor to the sanctuary in the hopes of him making friends with the baby animals - but little did they know the lovable pooch would become an unofficial member of staff, tending to the animals' emotional needs. Maria said: 'Igor came through Canine Kennels where they train dogs for the police, Mario saw him and fell in love with him and we decided we wanted him to be part of our family. The sanctuary boasts an array of exotic animals ranging from tigers to common farm animals - with a strong focus on conservation. 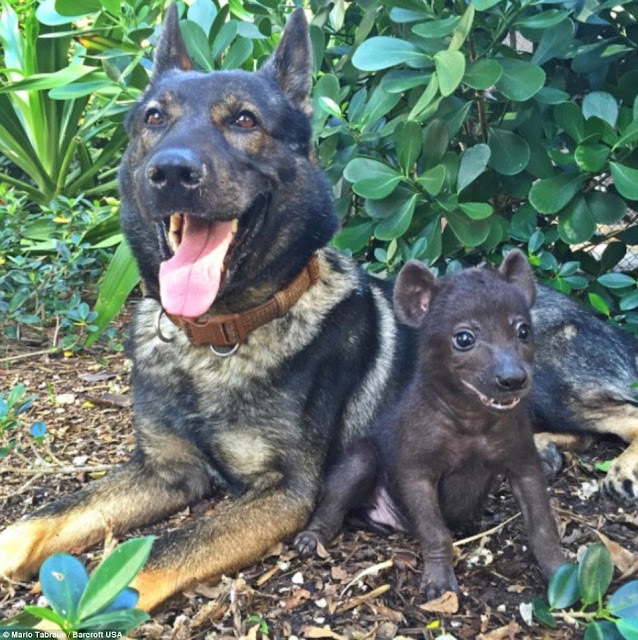 Responses to "German Shepherd is Surrogate Parent to Rescued Baby Wild Animals at Wildlife Sanctuary"